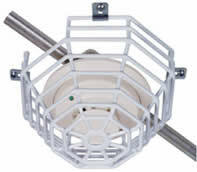 Offers protection against vandalism and accidental damage for fluorescent lights. Helps assure continued illumination of key areas. Constructed of tough 9-gauge steel wire. Coated with corrosion resistant polyester. 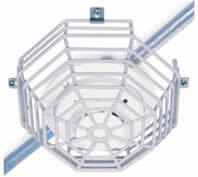 Installation is fast and simple with screws and anchors provided. 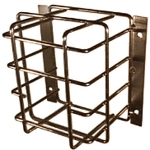 One of a complete line of wire guard units. Guaranteed for a lifetime against breakage in normal use. For shipping, large package and dimensional weight surcharges apply. 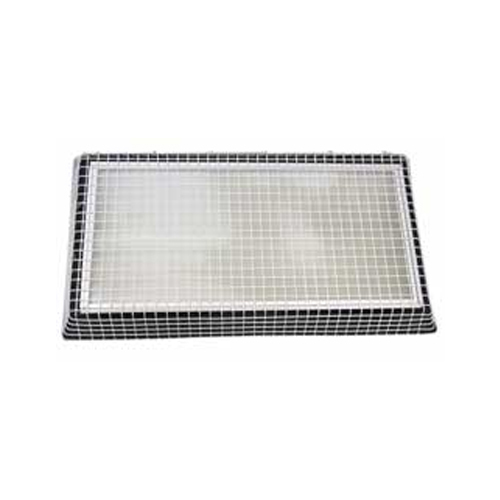 King-size wire guard offers lifetime protection against vandalism and accidental damage to fluorescent lights. Here is a way to help assure that your large fluorescent light units continue to illuminate important areas and to avoid frequent replacement of bulbs because of vandalism, accidental damage or other abuse. 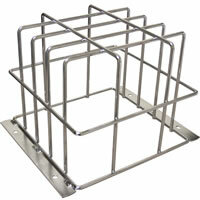 It measures 29.50" (750mm) wide by 53.50" (1359mm) long by 4.00" (101mm) deep and is shipped with all mounting hardware. 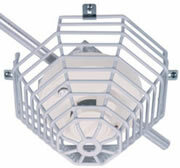 The Fluorescent Light Damage Stopper (STI-9651) is also easy to install. 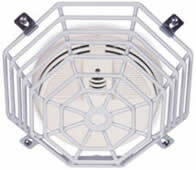 In addition to its attractive design, this Stopper features exceptional durability. 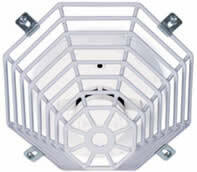 It is constructed of 9-gauge, welded steel wire with a tough, corrosion resistant polyester shell. 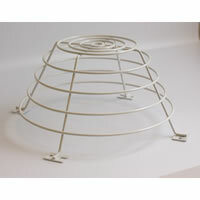 As all STI Wire Guards, it is backed by a lifetime guarantee against breakage in normal use. 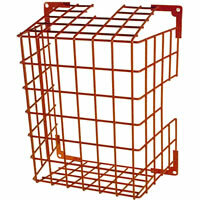 STI Emergency Lighting Cage, 13.75"x21.6"x5.9"